The Sims series is so popular and successful that I finally decided I had to see what the fuss is all about. I came into the game with no previous Sims experience, and to be honest very little at all with simulation games altogether. I wasn’t sure what to expect, and more importantly, whether or not I’d find the game enjoyable. From launching the game I was taken straight away to Create-A-Sim. All very simple and thankfully easy to use, with tons of customization possible including “shaping” using your mouse, making it possible to create whoever you want. A neat feature that I discovered here was that you can save your Sim – or even Household if created a family – to this online Gallery in-game where other fellow Simmers can download your creations, also allowing you to do the same with theirs. I was very impressed with this and even spotted some Sims based on real-life celebrities that made me laugh! After spending far too much time trying to create a virtual me (perfectly normal I’m sure!) you’re then directed to choose where your Sim or Household will be living. You have two options here, either a pre-made home or an empty lot. I chose the empty lot – a decision I quickly regretted! While it’s a lot cheaper to buy a empty plot of land, it does requires you to actually build – yikes! Luckily there is a tutorial in “build-mode” explaining the new features to Sims veterans, as well as some basics tips for beginners, but I still found myself lost despite the slightly irritating tutorial pop-ups every second. When I finally got my head round the building basics and created myself a block to live in, I was just feeling frustrated and already questioning whether the game was right for me. There were a few things with build-mode that I didn’t like. I found the interface to be a struggle to get used to at the start, with many tabs separating different items which are all located in different areas depending on their function or location in a home, but I still had difficulty finding what I was looking for at any time. I have just about got used to the interface now, but I found it frustratingly awkward at the start. I suppose with so many items to choose from, there aren’t a lot of options for how to do it better. Secondly it also took me time to adjust to the camera and mouse control. I’d played Banished fairly recently (you can read my review here) which I’d really enjoyed, and I think it was the simplicity that made it easy for me to engage with it. Thankfully these initial struggles were fixed as I played the game more and grew more familiar with it. I was so unsatisfied with the home I did eventually put together and ended up after all that restarting and choosing a pre-made home the next day. I really was overwhelmed and it’s not often I say that about a video game! I suppose those with greater simulation genre experience might have an easier ride. If I’m looking past Banished, then it was Zoo Tycoon 2 many many (yeah I’m embarrassed!) years ago that comes anywhere close to the building aspect of Sims that I’ve played. Building and creation is a huge part of Sims 4 but I personally found it best as a beginner to explore the virtual life aspect first, and slowly modify an existing home instead trying to create a mansion from scratch. Who needs rooms when you’ve got one big one! It’s the virtual life aspect that shines for me. I was almost relieved to find how enjoyable I found it. There is so so much content to discover from the moment you begin. I decided to choose Sims 4 over it’s predecessor Sims 3 for this very reason. I’ve been blown away just by the base game, I probably would have collapsed if I’d loaded up Sims 3 with all its expansion packs! Starting my Sims experience with this latest instalment means I can pick up expansions in the future and easily recognise the new features. It’s the discovering of what your Sim can do and their interactions with people and items that is the highlight of the game for me. Having said that, it was also a bit of a nuisance at times, for instance I had no idea what the “satisfaction points” actually did. I must have spent several hours collecting them before realising you can actually use them to invest in potions and traits in an in-game store. Another example is the item rewards you get from career promotions, you can find them in the build-mode inventory but I was puzzled when I couldn’t find them in my Sims personal inventory in live-mode. I was really impressed with the skills aspect to the game. I actually didn’t know the game included skills so it came as a surprise when I made a meal for the first time and saw a skill bar appear. I am a bit wary that as you spend time levelling your Sims it will become a bit of a chore, almost a “grind”. If you’re eager to maximise your living time (a bit grim I know) to rake in as much money from your career as possible, and you may find yourself repeating the same activities for multiple Sims as there aren’t a huge amount of career paths to choose from. The details in the game are really quite neat, with small things like mirrors perfectly reflecting back your surroundings, to realistic aspects like loud music or crying babies waking up nearby Sims trying to sleep, and obvious visual discomfort if “needs” are in desperate need of remedying. If you eat too much bad food and don’t do enough exercise, you Sims will slowly gain weight. I did find it hard work keeping up with my Sims needs, and was initially terrified at the thought of controlling more than one Sim, but investing in better quality equipment causes quicker regeneration of their needs which is handy, as well as less chance of items breaking. I have to agree about the limiting “worlds” which everyone has been complaining of. Comparisons to a mobile or a Facebook game are a really fair analogy. The collectibles and achievements seem a bit pointless to me but I guess it’s something else to keep you busy. 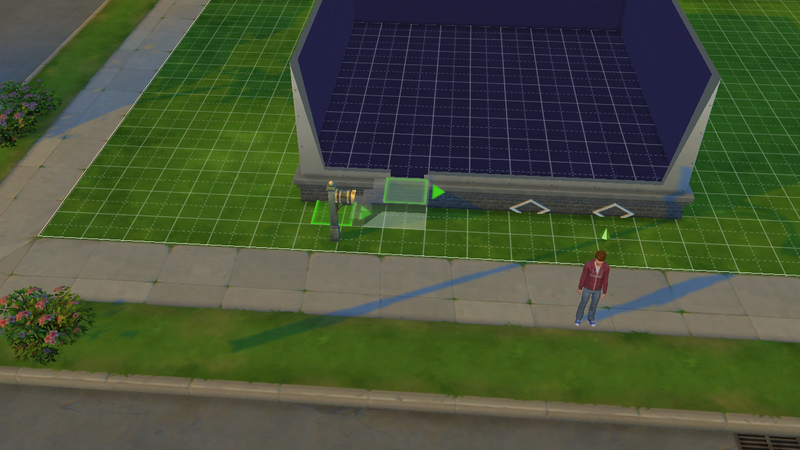 You have to be at your home lot to be able to go to work, this means a loading screen to take you home if you’re elsewhere, and then a wait leaving you doing nothing while they’re at work if you only control the one Sim. Birthday cakes are evil! Honestly you can turn from a youthful teen to a old man days away from death by a bit of candle blowing! I didn’t realise this when I started playing and lost my Sim’s childhood to these sinister cakes! I found that the chosen beds I selected for each Sim reset each time I resumed a game, but I think this must be a bug. Overall it really is such an engaging game that makes it impossible to play a quick few minutes that you can with other games. I’ve just hit over 20 hours playing time and it must have been spread over four or five playing sessions! It shares the “one more turn” addictive nature I experienced in the Civilization series, or the “one more match” in Football Manager. I found it extremely difficult to save and exit – a key reason this post has taken so long to finish! – with time just flying-by while playing. I judge video games to be good value if they provide as many or more hours as the amount of money spent on the game, and I’ve almost already reached 25 hours. I was worried after the negative first impressions but, while not perfect, Sims 4 is still an amazing game that I’ve got hooked to. I recommend for anyone in a similar situation to myself to stick with it if you struggle at the start as it does come good, in fact very good. This post began as a first impressions but has kind of grown into a review having played much more of the game since I started writing. This entry was posted in Gaming, Reviews and tagged Beginner, EA, First Impressions, Gaming, Guide, Impressions, Review, Sims, Sims 4, The Sims, Thoughts, Video Games. Bookmark the permalink. Also, I’ve never liked building my own house. My houses end up looking really blocky. I usually just go with a pre-made house, although I’ve watched Sims 4 videos, and it looks like you can buy pre-made rooms and just rotate and move them around. Nice to see your thoughts! I’m still working on my Banished review… finding it hard to stop playing the game and actually finish writing!